Within an incredible seven weeks of giving birth to her third baby, Prince Louis, Kate Middleton (sorry – the Duchess of Cambridge), had lost all her baby weight and was back to her svelte pre-pregnancy shape! Wow, you’re probably thinking (we know we were!). According to experts, some new mums are able to lose their stomach fat and snap back into shape quickly. That’s partly thanks to good genes, and partly to pre-pregnancy fitness. Duchess Kate, 36, has always been sporty. That probably helped her a lot when it came to shedding the kilos after giving birth. At school and university, the future royal was involved in activities such as field hockey and rowing. And, we are sure that as a royal, Kate has access to nannies, cooks, cleaners and more, that give her time to focus on getting back into her exercise routine. But while we’re not all so lucky to have a small army of helpers at home, there is one thing Kate does that we can also do. Kate reportedly said the main reason she’s been able to get back into shape fast is mainly due to constantly running after her 3 kids. As busy mums, we can all relate to that! So, what can I do to fit back into my old clothes? While chasing toddlers around the house, trying to prevent them sticking their fingers in the power socket or drawing all over the sofa is undoubtedly great exercise, what else can you do to lose weight and get your pre-pregnancy body back, to help you get back into your favourite pre-baby clothes? The first thing to remember is that it will take time. You were pregnant for nine months, so most new mums can’t expect that all traces of pregnancy will disappear within a few weeks. While Kate managed to slim down in seven weeks, it will take many of us mere mortals a bit longer. In fact, it may take up to a year or more to get back to your old size. And the unfortunate reality is that you may find the shape of your body has permanently changed. After giving birth, many women find their hips are broader, or the bottom may be slightly rounder, or the waist may be a size larger. Don’t worry – that’s normal. So, before you try squeezing back into your old jeans, just take things one step at a time. Most new mums during the first month or so after giving birth tend to stick with the maternity clothes they wore when they were 4 to 5 months pregnant. You may find that comfortable pants, shorts, or skirts with drawstring or elastic waistbands, are more convenient. Stick to loose-fitting tops and dresses that will best fit your post-pregnancy body. For most of us, it’s only natural to want to do whatever we can to speed up the process of losing the weight, so we can get back into all our pre-pregnancy clothes. Apart from making us feel better, buying all new clothes is an expense we can do without considering we’ve probably already spent a small fortune on maternity clothes, not to mention all the costs associated with having a baby! The most important strategy when it comes to shedding the kilos involves eating sensibly and exercising regularly. We know that finding time to exercise is a huge challenge with a new baby in the house, however it really does help. Having enough energy when you’re sleep deprived is another challenge. Just keep in mind that something is always better than nothing! In our 28 day fitness challenge, made specifically for mums to lose weight, we include lots of videos to demonstrate how you can keep active even when you only have a few minutes to spare a day. It’s all about starting somewhere, and we want to help you. Even if you can only fit in a 30-minute brisk walk in the neighbourhood three times a week – it’s a step in the right direction. And don’t be shy about asking for help from dad, or the grandparents, to look after the baby while you take some time out for yourself. Many gyms run postnatal fitness classes. These are great places to meet other new mums. We can assure you they are struggling with the same issues as you. But these classes can be a great way to establish a support network of other mums going through the same challenges. Or, you can join our amazing community of mums, just like you, for support and begin your journey back to good health and fitness. Just remember, there’s no standard time it takes for a new mum to get back to her pre-pregnancy size. Everybody is different. Different bodies respond differently to pregnancy. While some women, like Duchess Kate, manage to get back to their old size in record time, most don’t – it takes them more time and that’s normal. Some even find that all the running around they do once they have a baby actually leaves them thinner than previously! Just be patient and don’t get frustrated. With Health Mummy by your side, we’ll give you the motivation and emotional support you need, whether it takes weeks or months. Together, we will give you the best chance of getting back into your pre-baby clothes as quickly as possible. 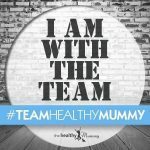 How Healthy Mummy can help you? Try the mums only weight loss challenge. 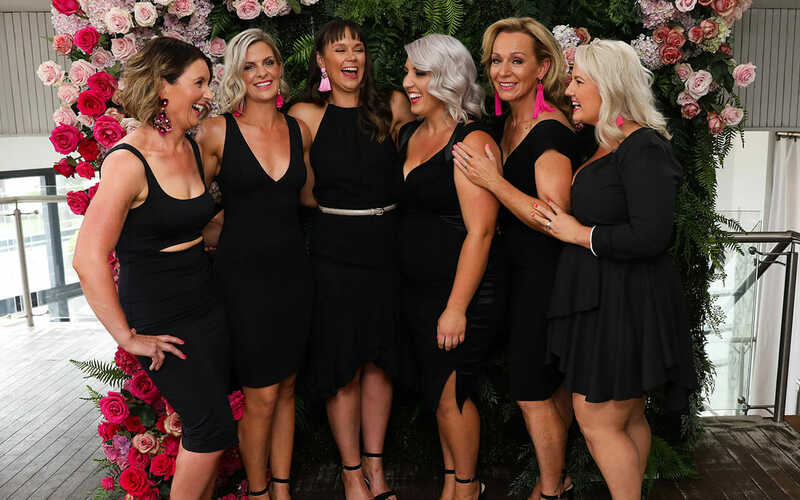 At Healthy Mummy, we are committed to helping new mums, just like you, get back into your pre-pregnancy clothes to feel great. Our 28 Day Weight Loss Challenge is what you need to transform your body and your lifestyle. You’ve got nothing to lose except the kilos.